Shoegaze has been re-visited many times over the last 20 years with varying degrees of success. Sounds of Sputnik have managed the trick of creating something all their own; evolving the sound of the nineties with post-rock flourishes and cavernous production on their latest release Light Scheme. 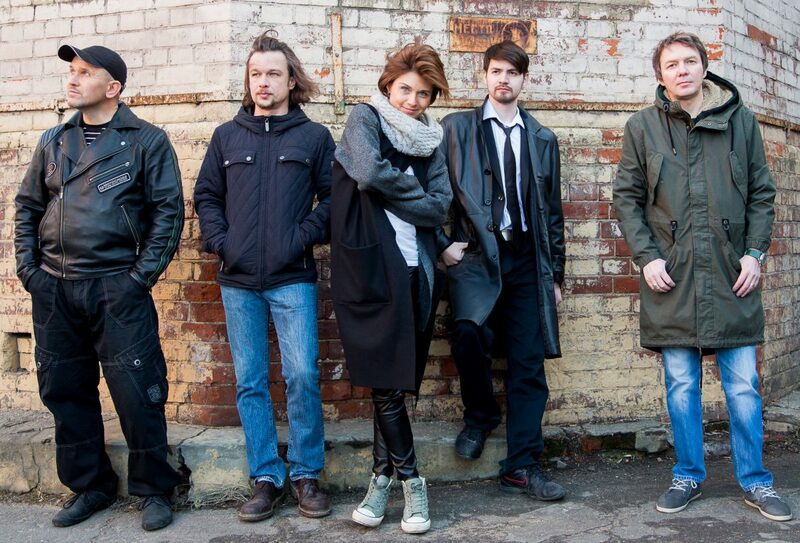 Fronted by Roman Kalitkin, Sounds of Sputnik now includes Oleg Mezherovsky, Oleg Luzhetsky, Dmitriy Bobrinev, Anastasia Berezovskaya, and Almaz Gaifutdinov. They have captured the essence of melodic dream pop and shoegaze, conjuring a “dream house disco noise experience” for the more adventurous listener. Vast and swirling, Light Scheme is a palette of clever guitar lines, powerful drums, lush bass and gossamer female vocals. Tendrils of sound appear to sweep out across the beckoning horizon as guitars mingle with washed atmospherics. Voices arc in and out of the ether in expanding trance-like beauty. Featuring the vocal talents of Ummagma’s Shauna McLarnon and Alexander Kretov, the duo also lend their co-writing and production talents to create something so dense and lush as to be tangible. Remixed by Japanese electronic musician Shintaro Haioka, Light Scheme is palatial and deep whispery bliss. All the remixes featured are frankly superb, each adding something new and different. The whole outrun/synthwave scene has been doing laps for nearly 10 years now and shows little sign of abating. Influenced by 1980s film, game, cartoon and TV show soundtracks, it is predominantly instrumental featuring cliché elements from that period. During this time numerous bands and producers have come and gone leaving the quality to rise to the top. Moondragon is one of the leading protagonists of this genre and he continues to produce propulsive, exciting and shimmering synthwave. Apex Predator feat. Meteor on guitar is the first release of his upcoming album that is unashamedly an ode to 80’s Formula 1. Right from the off with the echoing voice of broadcasting legend Murray Walker and hi-revs we are solidly in outrun country. With the now signature 16-bit sound and clean-edged pounding beats, all the hallmarks are there; repeating melodies, layered digital synths and enough neon-lit energy to power a small principality (Monaco would be my guess). With Meteor lending his turbo-charged riffs, this all makes for a heady blast through the 1980’s F1 world by way of DX7s, D50s* and of course Murray Walker. Apex Predator is out now to download for free! * Incidentally, I have no idea if DX7s or D50s were used in the production of this track but signature sounds abound and those keyboards essentially ruled the 1980s, I know, I was there. Ominous moods and a moving sense of loss pervade this record from London band Clock Opera. Consisting of Guy Connelly (vocals, guitar, sampler), Andy West (bass, guitar), Che Albrighton (drums) and Nic Nell (keyboards, vocals) their sound has taken a darker and more profound direction with the release of their album Venn. Whippoorwill is the latest release from Venn and it is a melancholy affair. Falsetto vocals and muted electronic piano sets the scene. Demons and shadows pervade the song as the beats kick in and mellow sequencers bubble and chug under the surface. There are sounds, chops, and crystals over an arrhythmic foundation that points to some sort of hope and redemption. The album as a whole acts as catharsis, born as it is, out of tragedy. A unique and curious sound, Clock Opera have created something distinctly beautiful, vulnerable and confessional.